According to the Public Broadcasting Service, 80 percent of the world’s population eats insects as a regular part of their diet. For centuries, insects have been essential to meals in several countries around the world such as Thailand and Brazil. In places such as the United States, however, people are far less likely to consider consuming insects even once or twice, let alone routinely as a part of their nutrition. Despite the taboo the American palate has established against eating bugs, this practice is becoming more common because it can benefit not only human health but also the environment. Insects are high in protein that is essential to the human diet, but do not have much fat content, unlike most types of meat. For example, according to Sports Dietitians Australia, 100 grams of crickets contains over 65 grams of protein and over 20 milligrams of zinc, with no saturated fat. Meanwhile, the same amount of beef contains 20 grams of protein and 5 milligrams of zinc. Pork and chicken have slightly less protein and zinc than beef. Rather than eating large quantities of beef, pork, or chicken, people can eat smaller amounts of crickets and achieve better nutritional benefits. Eating insects also allows for a more sustainable world. Raising livestock in itself takes a massive toll on the environment. As stated by the New York Times, livestock is responsible for around 15 to 20 percent of anthropogenic (or human-caused) greenhouse gas emissions and the agriculture industry takes up about 40 percent of our usable land and one-third of our water supply. In a world where climate change, overpopulation, and a shortage of clean water and food are all present dangers, any reduction in livestock consumption could alleviate incredible damage on the planet. Thus, if more people in the most meat-consuming country in the world began to replace their protein source with more insect-based foods, greater environmental sustainability would be one direct, immediate result. Even at Crescenta Valley High School, Advanced Placement Environmental Science students are exposed to the consumption of insects. 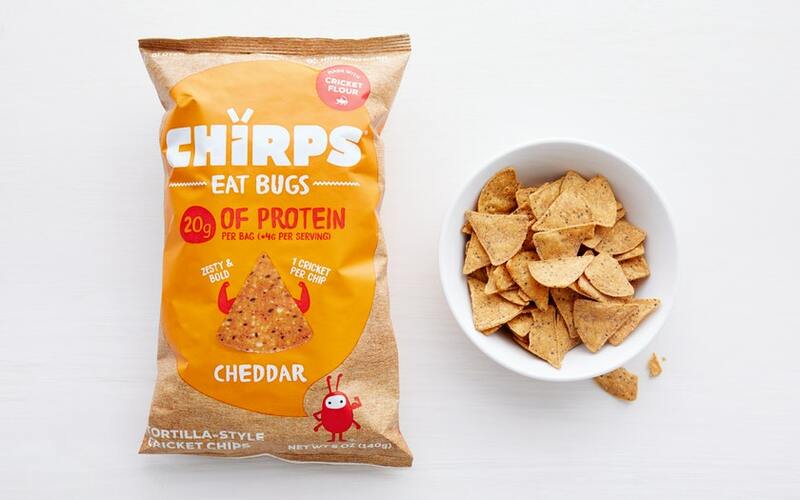 Each year, APES teacher Ms. Christina Engen passes out chips made from cricket flour for students to try, which is accompanied by a lesson explaining the aforementioned benefits of eating bugs. Although it may be difficult to change the attitude toward eating bugs in the United States, the consumption of insects is becoming more popular and understood due to its clear environmental and health benefits.